CAMD or Computer Aided Molecular Design refers to the design of molecules with desirable properties. That is, through CAMD, one determines molecules that match a specified set of (target) properties. CAMD as a technique has a very large potential as in principle, all kinds of chemical, bio-chemical and material products can be designed through this technique. This book mainly deals with macroscopic properties and therefore does not cover molecular design of large, complex chemicals such as drugs. 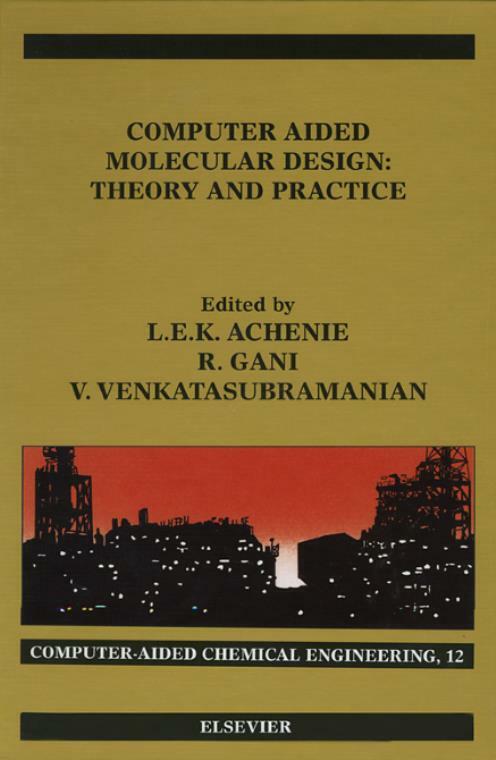 While books have been written on computer aided molecular design relating to drugs and large complex chemicals, a book on systematic formulation of CAMD problems and solutions, with emphasis on theory and practice, which helps one to learn, understand and apply the technique is currently unavailable. - This title brings together the theoretical aspects related to Computer Aided Molecular Design, the different techniques that have been developed and the different applications that have been reported.